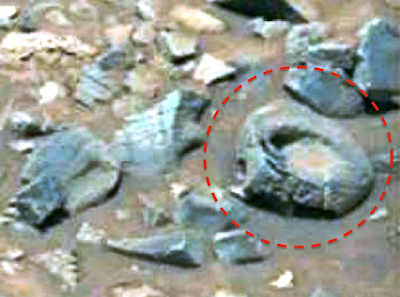 UFO SIGHTINGS DAILY: Ancient Bowl Found On Mars And Other Intelligently Designed Shapes On Mars Found In Ruins, Aug 2015, UFO Sighting News. Ancient Bowl Found On Mars And Other Intelligently Designed Shapes On Mars Found In Ruins, Aug 2015, UFO Sighting News. This find by Whatsupinthesky37 is quite intriguing. He discovered what could be a bowl, but looks like a hollow section of a pillar. The object is not round, but has 6 equal sides and is hollow inside. 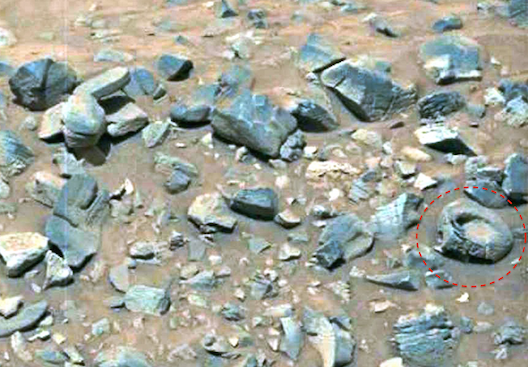 Very cool discovery and this should have archeologist excited around the world. Thanks to Kjell for emailing this image on over to me I apologize that it took me so long to get to it. Things have been hectic here with my mother having surgery but everything went wonderful and she is recovering! My friend Stefan (EclipseFire Xin) did a great image covering the anomalies on this image as well that I show in the video and will link below as well! You can find him on YouTube, Facebook & now on WUITS! So this image totally looks to be the typical Uncle Jakes Junkyard filled with Intelligently designed rubble and ruins all over this area of the Gale Crater! I love the one in the thumbnail that looks like a modern day wash pan, bedpan.. ;) This one is worth a download and I will be doing a video from the same SOL very shortly so stay tuned! I can't wait to hear what you all think about this one!